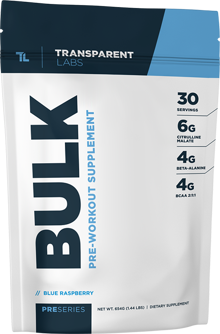 Transparent Labs PreSeries Bulk: The Pre Workout of 2016! This open-label, top naturally-flavored/sweetened pre workout is all the rage in 2016, and PricePlow has the best PreSeries Bulk Coupon on the web! Just click one of the "Go to Store" buttons to see it and read more on our in-depth PreSeries Bulk blog post and review! Amin and CJ reviewed PreSeries Bulk for a week, and Amin absolutely loved the lower-stim, higher L-Theanine content. He does bodybuilding workouts and loves a huge pump, which this definitely provides. 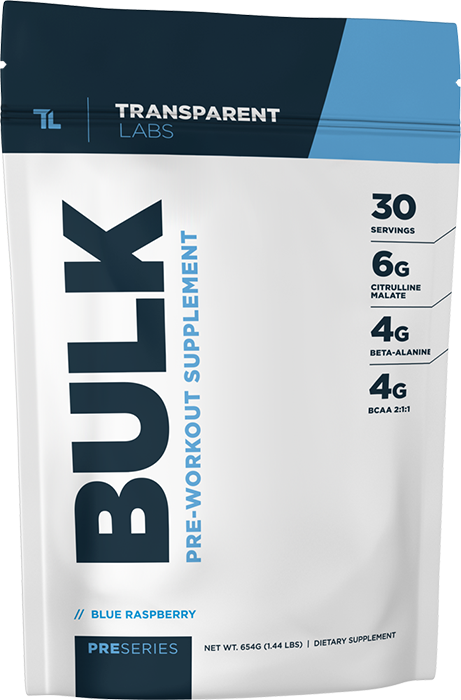 PreSeries BULK was developed for a specific purpose - to be the most exceptional "bulking" pre-workout supplement available. The key ingredients, all backed by published scientific research, are included at clinically effective dosages and contain zero colored dyes, unnecessary fillers, or harmful additives. There's a reason why PreSeries BULK comes in jumbo-sized jugs! Each serving exceeds 22 grams and includes 20 active ingredients that are designed to increase nitric oxide ("pump") and focus while working out, reduce fatigue and muscle soreness, all while enhancing overall physical performance. PreSeries BULK contains 4,000 mg (4 grams) of betaine per serving.